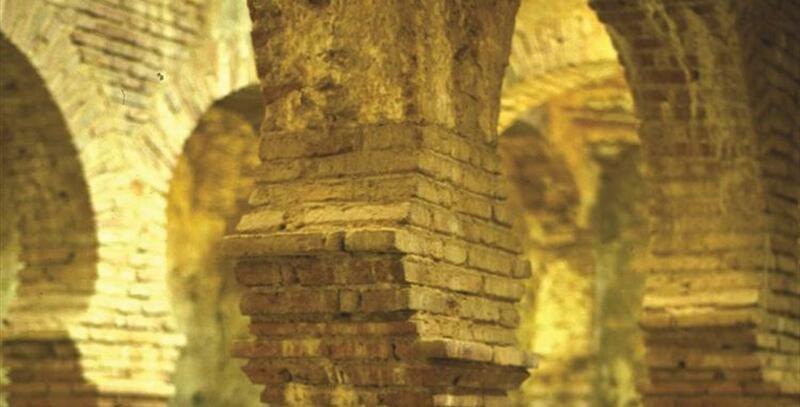 The Arabic Bathhouses, located in the ancient Jewish quarter, were built in the late thirteenth or early fourteenth century. Despite their extraordinary architectural interest they were abandoned-Christian morality did not permit certain practices-and the floodwaters from the River Guadalevín eventually buried them. When the Duchess of Parcent ordered the construction of some gardens in this area the first remains of the bathhouses came to light but no attention was paid to them then, either, until the site was acquired by the State in 1935. 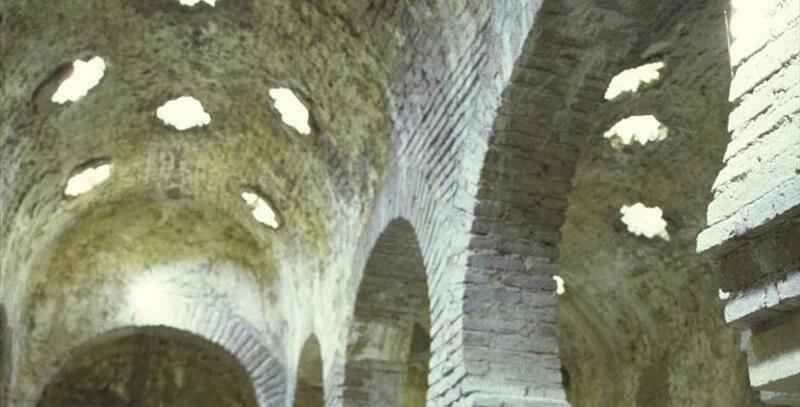 The excavations that have been done to date have allowed the recovery of the three chambers of the bathhouse (cold, warm and hot), which are linked by semicircular arches and covered with barrel-vaulted roofs. 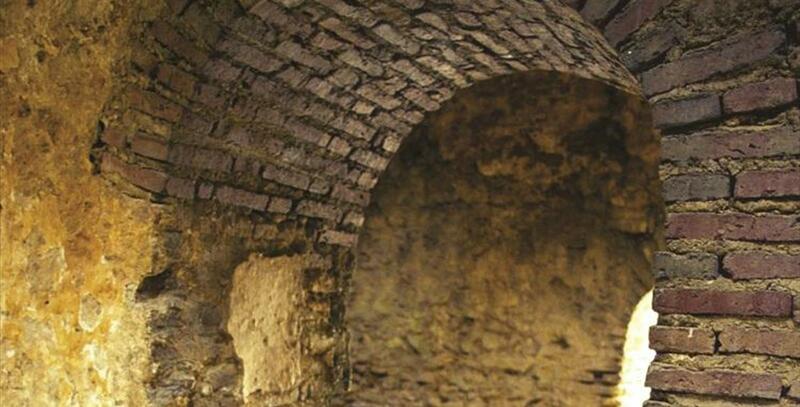 The bathhouse vaults are perforated by star-shaped openings that filter the sunlight and create a shadowy effect that is very conducive to rest. 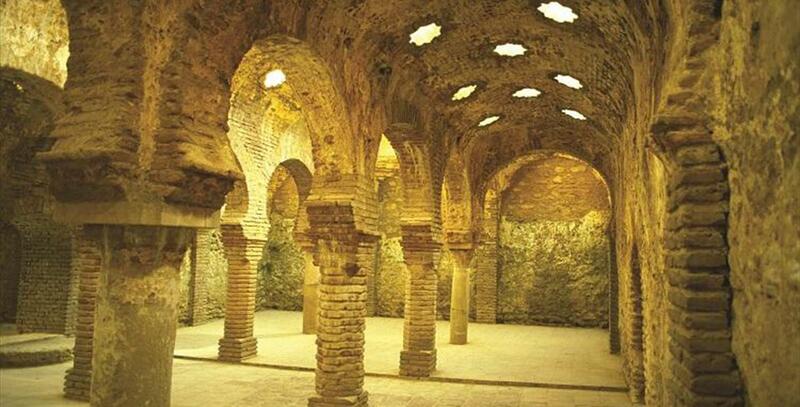 Parts of the boilers and of the water pipes have been preserved, and experts agree that it is one of the best-preserved bathhouses from that era in all of Spain.